The Luxury Haus, a Leonia NJ car dealer commonly known for charging hidden fees and using misleading advertising to lure customers in, has closed it’s doors. We’ve heard many stories about this place from our clients over the past couple of years. Many people who purchased their vehicle from eimports4Less first went to the Luxury Haus and wasted a day of their time dealing with these guys and gals. 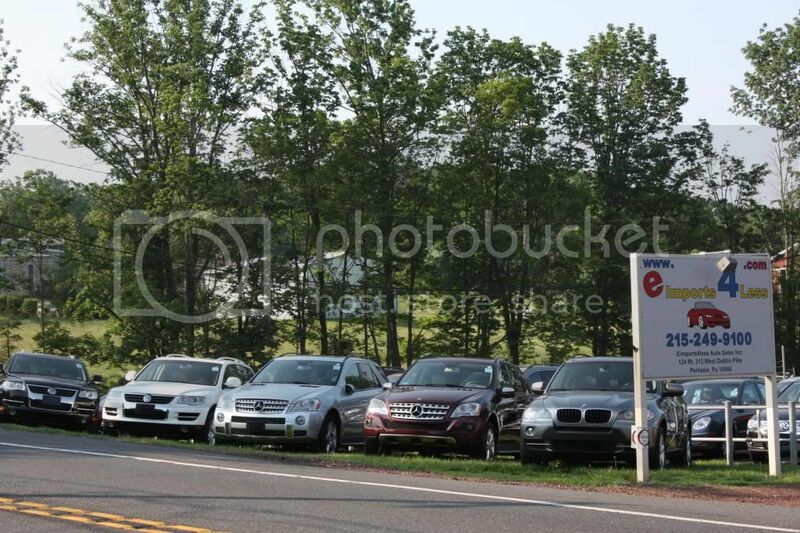 We’ve heard that their game is the same as many NJ new and used vehicle dealers: they advertise a vehicle at a super low price that nobody can compete with, that price gets an unsuspecting consumer to come into the dealership and after wasting 6+ hours of their time with financing applications, aftermarket product demonstrations, etc, etc, etc…they then tack on about $4,000 worth of hidden fees and nonsense charges to the sale price. Then, and only then, do you find out what the real price of the vehicle actually is. I can hear my grandpop now “If a deal sounds too good to be true, it probably is”. I would think that all buyers would just get up and walk away, but some didn’t. They were worn down by over 6 hours of interrogating and negotiating and just gave up and bought the car so they could get out of there and go home to their families. This dealer and others like them is the reason that we always tell customers to “do as much research on the seller of the vehicle as you did on the vehicle itself”. If you don’t think that that’s important, think of the hundreds of customers that The Luxury Haus has left in a terrible position. According to the info that I found online, some of these folks traded-in cars that have not been paid off to their bank, some folks bought warranties that have not been paid for by the dealer, lots of buyers have problems with the cars that they bought there and now cannot get them fixed and a group of customers who recently won a lawsuit against these folks for deceptive advertising and overcharging them fees will most likely never recoup a dollar. Don’t take my word for it though, keep reading through all the horrible reviews and articles below and also check out the Facebook and law firm link below the reviews for updates on this place. The annual four day Zephyrhills Car Show and Swap Meets starts this Thursday October 27th at Festival Park on Hwy 301 in Zephyrhills, Florida, just North of Tampa. Get there for four days of swap meets, car corrals, over 300 cars auctioned and more. Check their site out for all info and directions to the show.